Taken a quick break from work to check our Facebook feed and then ended up watching cat videos on loop. Very often, those few second breaks turn into minutes, and before you realize it, you have wasted hours reading random stuff on your friend’s timeline. Wouldn’t it be great if your manager could give you a nudge every time you wandered off into Facebook’s enticing maze? As a manager, wouldn’t you be grateful if there was a way to monitor Facebook usage during work and restrain your employees from over usage? In fact, more than three-quarters of U.S businesses today monitor the websites accessed by their employees to some degree. Salary.com conducted an annual “Wasting Time At Work” survey and found that personal internet use like accessing Facebook accounted for 48% of all wasted time during office hours. However, monitoring Facebook usage during work or any internet activity in office is not without its challenges. 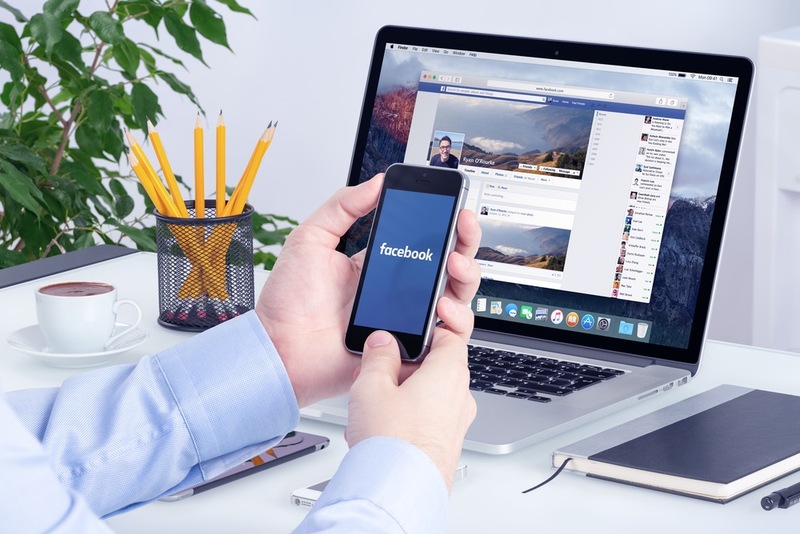 To make it easier for you to monitor your employees Facebook usage and give them a friendly nudge towards going back to work, we have created this practical guide. I am sure you’ll agree with me when I say, employees tend to waste a lot of office time surfing Facebook. It’s the most obvious consequence – if your employees are on Facebook during their work hours, it’s wasted time for your organization. This is idle time – when your employees aren’t engaged in any work. Idle time can eat away at your companies resources as you’re paying employees to work – not browse the Facebook. Time is a precious resource and any wastage would add to the cost of your business. Scrolling through Facebook distracts an employee from his work process – leading us to our next point. As your employees get continually distracted and disturbed during their work routines, their productivity reduces. Moreover, once they come back to the task at hand, after scrolling through Facebook feed, it takes longer to find their focus and do the task efficiently. A task that would’ve taken two hours on a normal basis could stretch to four – all due to mini Facebook breaks that distract the employee. As your employee’s productivity goes down, so does your company’s profitability. Since they’re taking more time to complete routine tasks, you won’t be hitting the targets you need or you would end up missing deadlines. Organizations often plan schedules and agendas based on estimates of their employee’s work time. With much of that time being wasted on Facebook, these schedules are no longer ideal, and it creates a mismatch between expectations and results. Since your employee’s Facebook activity eats into their work hours, it’s difficult to estimate how much time they spend purely on work. As a result, trying to pay them accurately for hours worked becomes a hassle. There are various automated tools like Time Doctor that you can use to monitor and curb Facebook usage during productive work hours. These tools usually run in the background of an employee’s computer and track what sites were accessed and for how long. This way, a supervisor has an accurate picture of where their employees were spending time during their workday. As your employees know that there’s a software tracking what sites were accessed, the chances of them using Facebook go down. This way, your employees can remain more focused and productive. When Time Doctor detects excessive usage of Facebook, a small popup appears on the screen asking the employee if he was still working on the task assigned to him. Isn’t that a great nudge towards getting back on track? 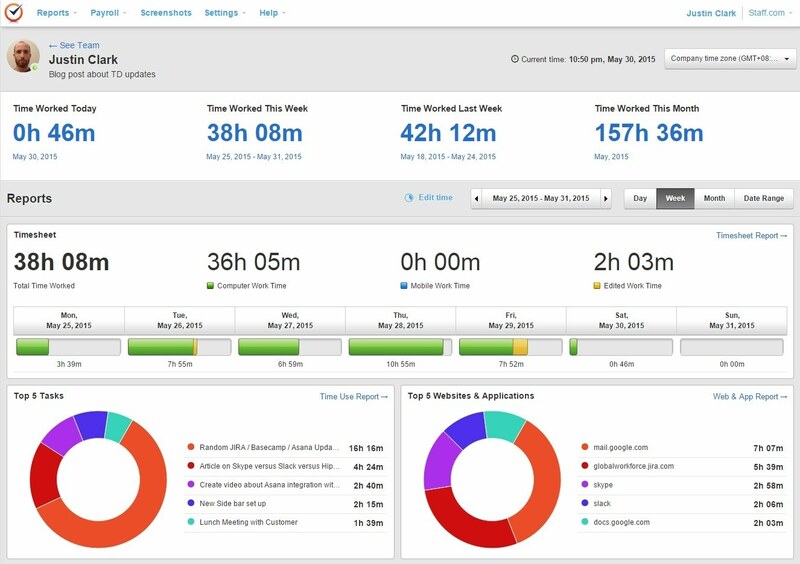 Time Doctor is a comprehensive time tracking tool – it isn’t limited to just Facebook monitoring. With this tool, you have access to useful features that regular Facebook tracking tools wouldn’t give you. This is the real meat and bones of the software when it comes to monitoring Facebook usage. While traditional software completely bans Facebook from ever being accessed, Time Doctor doesn’t take that impractical and extreme an approach. Instead of banning Facebook, Time Doctor flags the site. So while the employee can still access it, the software will recognize it as non-work related activity and note it down. 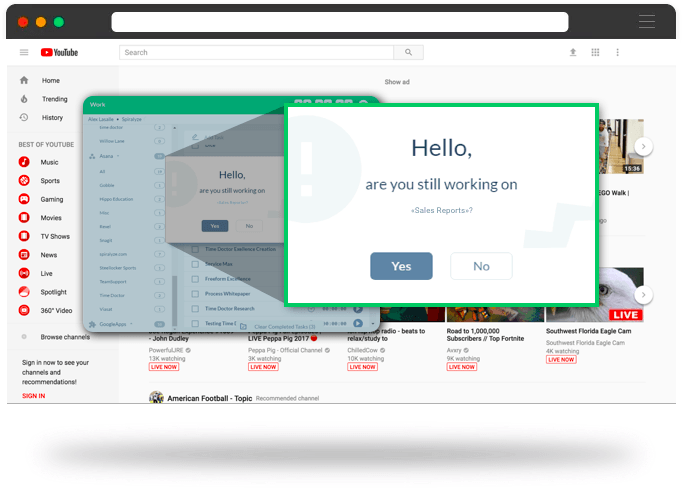 Say an employee is working on a task and accesses Facebook, Time Doctor will then automatically show a pop-up asking them if they’re still working. This nudge is usually more than enough to deter them from spending too much time on Facebook. Time Doctor also gives you a Web and App Usage Report with all the sites that the employee has accessed in a day. It notes down how long they’ve spent on each of them. This way you can make sure your employees are spending their time in the right places. To make the task of identifying non-work related activity easier, TimeDoctor provides you with a Poor Time Usage report that only notes down non-work related activity done by the employee during the day. You also have the freedom to choose which sites can be classified as non-work related – Facebook, Twitter, Soundcloud – it’s up to you. Time Doctor will automatically generate this report when any of these shortlisted sites are accessed by an employee. This way it’ll be easier to identify employees who are slacking when they’re supposed to be working. Not only that, but you’ll have concrete proof to back up any action that you choose to take. This technique of only monitoring Facebook use during active work hours rather than banning it entirely is very helpful. By doing so, it allows employees to still access Facebook during their breaks with no difficulty whatsoever. This way they can still enjoy themselves as long as it doesn’t interfere with their work. Also at times, especially when conducting research, one may have to consult sites like Facebook and Youtube – sites that would normally be banned. With Time Doctor, these sites can still be accessed. While it’ll pop up on the Poor Time Usage report, you’ll still know the context of it and know that it was work related. As mentioned earlier, Facebook usage during work hours creates a lot of idle time. An offshoot of this is the difficulty in estimating actual hours worked – especially when employees are paid on an hourly basis. As a result of this, managers often pay employees for hours that may not have been dedicated to work. To help you with that, Time Doctor has an inbuilt inactivity tracker. With this, the software will automatically pause a task after three minutes of inactivity. Say an employee was working on a task but then got carried away browsing Facebook on their phone. 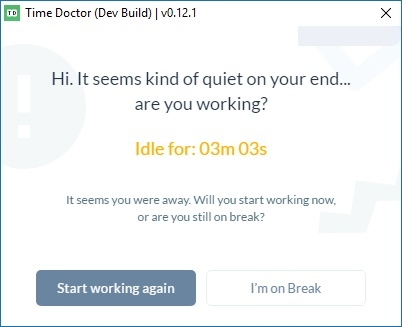 In the event that three minutes pass without any activity happening, Time Doctor will automatically assume the employee is on a break and pause the software. This way your employees won’t be able to claim that they were working when they actually weren’t. It’s also a helpful feature for employees who may have forgotten to switch the software off during their breaks. As inactivity causes the software to pause, when they’re away on their break, it’ll automatically stop tracking. This way, it’s virtually impossible for them to be tracked when they’re away. Time Doctor senses inactivity if there are no mouse movements or keys pressed for a period. However, it does not record any of the keys pressed at all. One of the main reasons employees are hesitant to accept monitoring policies is because of their lack of autonomy in the matter. There’s a sense of always being watched and spied on without being able to do anything about it. It puts the monitoring process in the hands of the employees themselves. The tool doesn’t run all the time – it can easily be paused so that when your employees are on a break, they won’t be tracked. Your employees just have to select the task that they’re working on, and press the pause button right next to it. The software will stop monitoring all activity at that point. This way they can relax during their breaks without worrying about being tracked. When they’re ready to start work again, they can start the task and the monitoring process will begin. Just select the task you want to work on and click the start button next to it. Employees can access Facebook during their lunch breaks, catch up on all they need to and then switch the tool back on and get to work. This way, they’re not wasting working hours on social media, but also won’t feel too constrained during their time off. 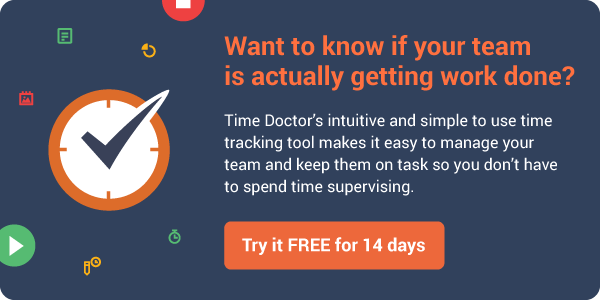 Still not convinced about using a tool like Time Doctor to monitor your employees? With a tool like Time Doctor, time tracking can be initiated by the employees themselves. They get to decide when they’re working and when to be monitored. This eliminates the need for a supervisor overseeing everything. 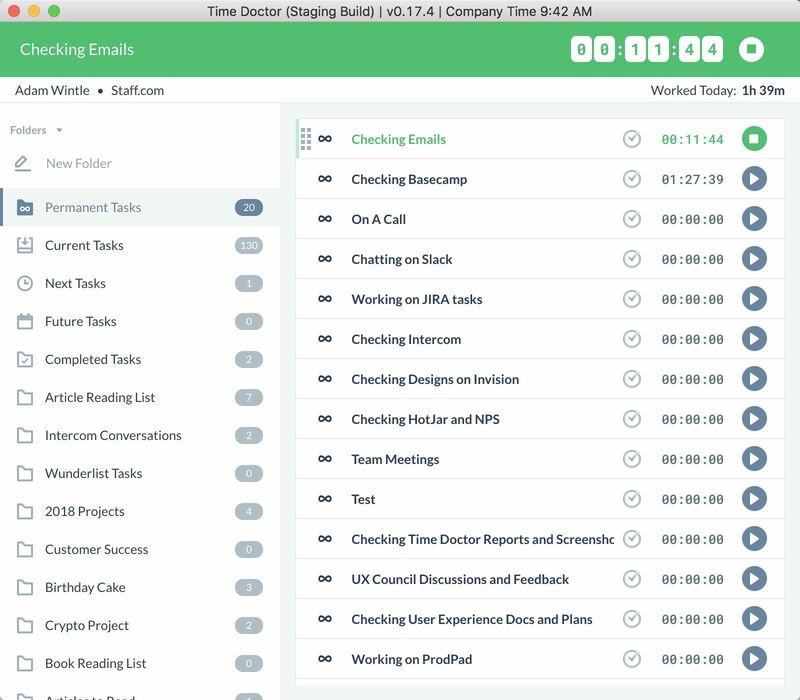 Also, because the tool records everything on its own – from time spent on tasks, to what sites were accessed – your employee doesn’t have to note down anything else themselves. With TimeDoctor, there’s no chance of a breach of privacy happening. As it’s the employees themselves who decide when to start tracking – it can’t track any activity against their consent. Even if they forget to pause the monitoring process during break times, Time Doctor automatically stops after three minutes of inactivity. This way your employees can rest assured that their privacy is always respected. With all your employees’ work activity being recorded, you’ll have unprecedented levels of transparency. You’ll know who has been wasting time and where they’ve been wasting it. You’ll also have an accurate figure of hours actually spent on work – not a sum total of work hours and mini breaks. With the increased transparency on how many hours were actually worked, it’ll be easier to assess productivity and plan schedules better. With this, you’ll have an accurate estimate of what your employees are capable of. This, in turn, can be used to analyze data trends, set realistic deadlines and plan future processes better. Depriving your employees of the ability to access Facebook during their break hours can dampen the mood. As mentioned earlier, it can be perceived as unnecessary micromanaging. In addition to this, the typical way of banning Facebook entirely can look like a punishment. With Time Doctor, your employees know that the monitoring is in their hands and they’re free to take Facebook breaks as long as their work doesn’t suffer. This way they don’t feel deprived of anything or needlessly spied on. All while the company manages to boost productivity. When I said that incorporating a Facebook policy wasn’t without its challenges, I meant it. There are a lot of ways companies mess up implementing a monitoring process. Yes, many companies still follow this approach! This is equivalent to shooting yourself in the foot. Sure, none of your employees will be able to access Facebook on the company server during work hours. But nobody’s going to be able to access anything that is already not classified by your IT department as ‘work.’ Your employees will have to ask IT to unblock sites every time they need to do a simple Google search! Simply blocking a site like Facebook is a commonly used method but it’s not ideal. This is because websites are usually blocked through the company’s IP settings. If you’re connected to the company internet, then you won’t be able to use Facebook. However, there are no restrictions on the employees using their own mobile data to access Facebook on their phones. Secondly, by banning a site like Facebook, you deprive your employees of the opportunity to relax during their break times. This, in turn, could lead to more stress, and lowered productivity. This may be the most common method, but it’s still flawed. While it may be convenient to monitor employee activity at all times – it’s a gross invasion of privacy. Employees may not like the fact that they’re being tracked even during their lunch hours. In some cases, there’s a background monitoring software installed on their laptops or phones. This may run even when the employee is no longer at work. Naturally, no employee will take too kindly to this either. This is especially common with remote workers, where their work computers may double up as personal ones. When a monitoring software runs in the background continuously, it can track personal information easily too. This is a serious invasion of privacy and should be avoided at all costs. The outcome of this is a lack of trust between the employees and management resulting in lower morale and employee engagement. Every system or policy has some do’s and don’ts. Remember that enforcing a monitoring policy is not going to be met with unconditional acceptance. It can be viewed as unwarranted micromanaging and could stir up discontent. Before enforcing any monitoring policy, take the views of the employees into consideration. Then, plan how and when you’ll be introducing it to them. Also take current governing laws into mind as you could always be subject to litigation if you’re not careful. Planning in advance allows you to predict any future mishaps and address them before they even happen. This is an important step that often gets overlooked. Even if the policy may seem self-evident, you should treat it just like any other company policy. It must be solidly backed by a written document. One benefit of this is it safeguards your company against any legal disputes in the future. Also, having a written policy gives your employees a clear set of rules and regulations to refer to if needed. Just like any other policy that’s introduced, you’ll need to update and train your employees to comply with it. While a Facebook policy can be condensed into – “just don’t use Facebook at work”, a blunt statement like that won’t help. You need to inform them about why you’re enforcing this policy, on what platforms it’ll be enforced (phones, laptops, etc) and what the consequences of not following it will be. You’ll also need to listen to all of their concerns and questions. There’s bound to be some hazy areas that need to be addressed in detail. Doing so will reduce the likelihood of any future misunderstandings happening. Even though your employees shouldn’t be on Facebook during work hours, completely removing that option will be met with resentment. You don’t want to worsen that by not employing the policy across the board. If your employees aren’t allowed to be on Facebook during work hours, then neither should be any senior executives. Your employees need to understand that the policy is for the betterment of the company as a whole, which is why everyone participates in it. Not every policy will be effective on the first try. Sometimes you need a flawed policy to see what can be improved to create a more suitable one. Listen to the feedback from your employees on your policy and listen to their concerns. Doing so will help you craft a more employee-centric policy that they’ll be happier to comply with. It’ll also show them that you actually listen to their concerns – thereby boosting morale. Another important aspect is keeping track of any changes in government laws surrounding monitoring. Laws can change in an instant and you need to stay on top of it all to avoid any legal complications. There will always be misunderstandings and grey areas even if you thoroughly train your employees on any policy. For a topic like Facebook monitoring, with so many variables like where it’s banned, for how long and so on, it makes sense to have a designated person to address any concerns. With a designated contact person for concerns regarding the policy, you reduce the likelihood of any misunderstandings and unintentional rule breaking happening. This would ideally be an HR manager. There’s always the possibility of overreaching when it comes to a Facebook policy. 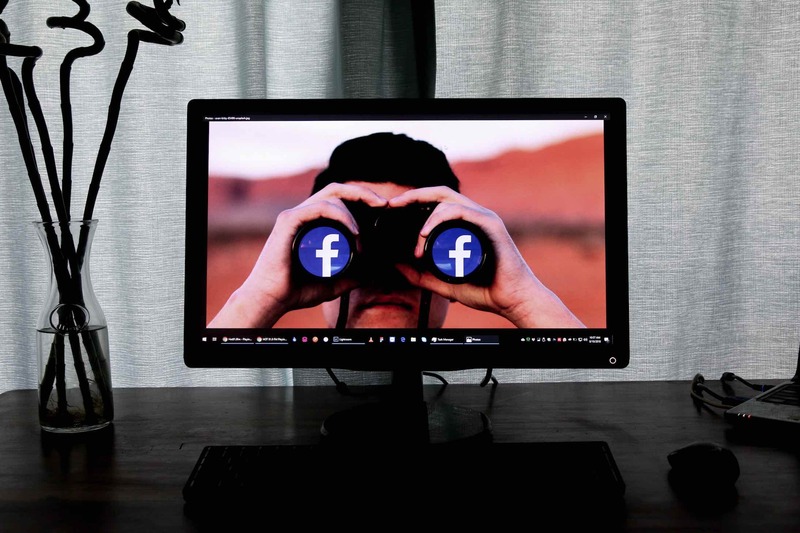 A lot of companies have come under criticism for regularly monitoring employees Facebook activity even after office hours. This is a blatant violation of trust. In the event that the employee realizes this, the relationship between the employee and company will most likely be irreparable. Another recent trend that’s come under criticism is that of companies asking employees for their social media passwords. Under no circumstance should an organization ask for a personal password from an employee. This does serious damage to the trust between the employee and organization. Remember, you’re only monitoring your employees’ Facebook activity during work hours to boost productivity. You’re not a private eye agency tasked with shadowing their every move. When dealing with a sensitive process like monitoring, there are a lot of rules and regulations that you’ll have to comply with before going ahead with it. In general though, the best way to safeguard yourself against any lawsuits to ensure that you have the employees consent to be monitored before doing anything. Without that, chances are you’re open to lawsuits and can face strict legal action. US States like Connecticut and Delaware prohibit employee monitoring without getting consent first. 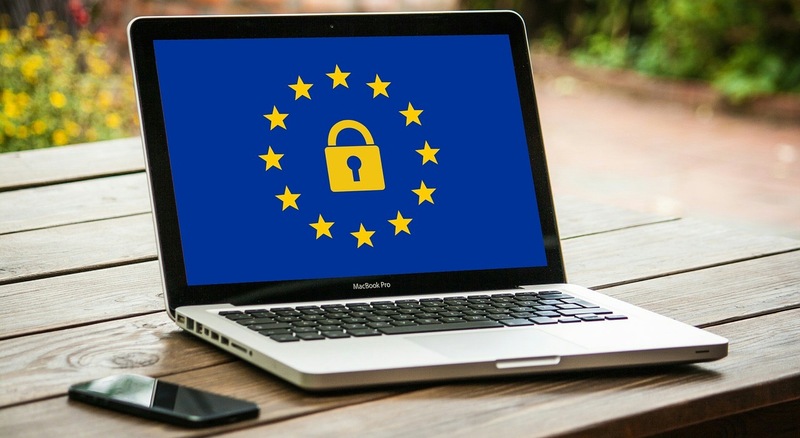 When dealing with employees in the European Union, you’ll be subject to the EU’s GDPR rules which are even more stringent than the ones in the US. There are also regulations regarding the monitoring of specific types of information such as email communications and passwords. For example, the federal Electronic Communications Privacy Act safeguards employees against being monitored without their explicit consent. While there is software out there which runs in the background and is seemingly invisible to the employee being tracked, it’s a serious breach of trust and more importantly is a criminal offense in some regions in the US and abroad. It’s a good idea to stay away from such software when looking for a monitoring tool. As mentioned earlier, introducing a Facebook monitoring policy will never be easy. There will always be some understandable apprehension towards it. This makes introducing it in the right way that much more important. Remember that the core of any monitoring strategy is consent. That’s why including it in their employment contract itself makes sense. It should thoroughly go over all the guidelines surrounding the monitoring procedure. This way the employee knows exactly what’s in store for them and there won’t be any future disputes. In the event that you’re incorporating the policy mid-way through someone’s contract, add an addendum that can be signed which covers the policy. Chances are your employee’s first reaction to this policy will be apprehension. They’ll look at it negatively and feel untrusted. You need to reassure them right away that it has nothing to do with distrust. Stress how the only reason you’re incorporating it is because you want to increase productivity, and as a result, everyone – from the top brass down to the interns – has to comply. In the event that you’re using a software to monitor your employees, make sure you go over the entire process with them so that they’re well versed with everything. It’s important that they’re comfortable with the tools being used along with the idea of being monitored. Remember that your employees never called for this policy. They’re going to have differing opinions on it. Instead of dismissing it under the pretext of “boss knows best” – listen to them. They could have some valuable insights that you may not have thought of or taken into consideration which could be helpful. Facebook usage during work time is a serious problem for companies. If left unchecked, it can wreak havoc on your team’s productivity and profitability. At the same time, trying to incorporate a very stringent monitoring policy can be detrimental to your team’s morale. Trying to employ a successful Facebook monitoring strategy may seem like a difficult task. However, with the right tools and implementation, it can be a seamless process resulting in increased productivity without damaging morale. 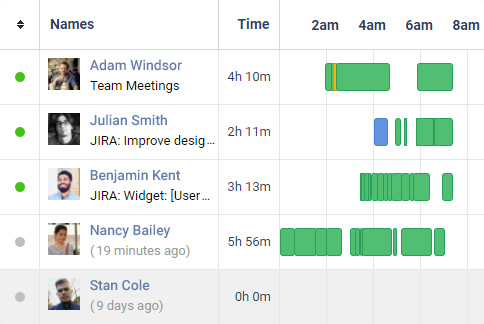 If you’d like to test out Time Doctor’s employee monitoring software for your team’s Facebook use, you can try our free 14-day trial and experience it for yourself. What other methods do you use to monitor Facebook usage at work? Let us know in the comment section below.